In a sea of faces, some worried, some jubilant, Private John Michael Hassett poses for a picture. 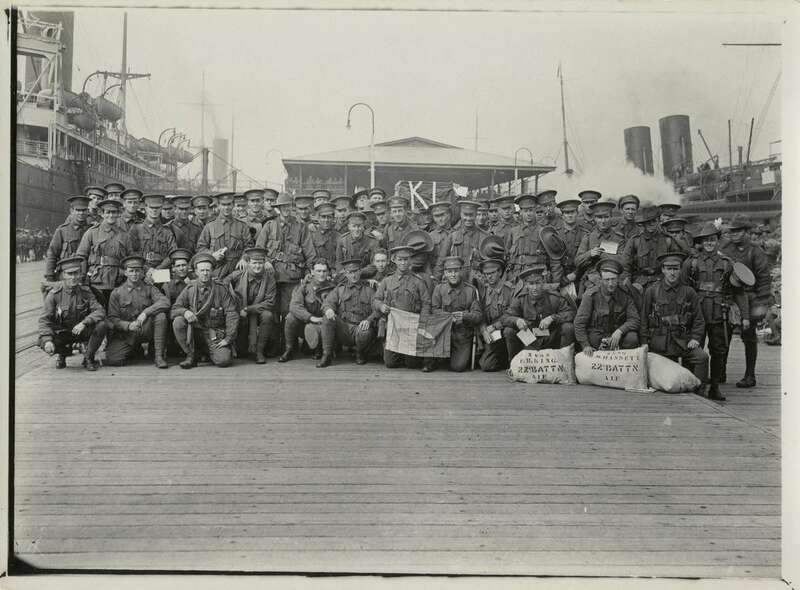 It is October 1916, Melbourne, and Hassett and other members of his battalion are just about to board the troopship Nestor to leave for war. Hassett kneels in the front row, his hat turned to the side and his kit bag rolled forward to expose his name and service number. Perhaps he intended his name to be recorded when posing for the camera – perhaps not – however this is exactly what happened. Digitised records from a number of different sources now make it possible for me, nearly 100 years later, to look at Hassett’s anxious face in this photograph – a young civilian now newly minted soldier – and uncover his fate. In March 1916 Hassett is 29 and working as a hairdresser in Melbourne when he volunteers for service in the First World War. Signing his enlistment papers in Brunswick on 13 March, he informs the army that he is unmarried and that his mother Margaret has the honour of being his next of kin. The embarkation roll for Hassett confirms that he left Melbourne on 2 October 1916, boarding the troopship HMAT Nestor as a member of the 22nd Infantry Battalion. ‘Missing in Action, Believed Killed’. France. However there is, of course, much more to the story of the day our soldier died. From the time Hassett joined the 22nd Battalion in February to the day of his death his unit was stationed around Bullecourt in northern France where they were busy with patrols, training and a number of small actions. In the weeks that followed, both the Allied and German forces escalated their activities in preparation of a resumption of intense fighting. 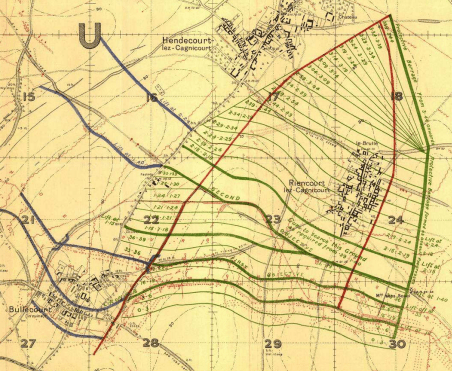 In March 1917, in the area around Bullecourt, the Germans withdrew to the Hindenburg Line in order to shorten and consolidate their defences before, on that fateful day – 3 May – the Second Battle of Bullecourt began. 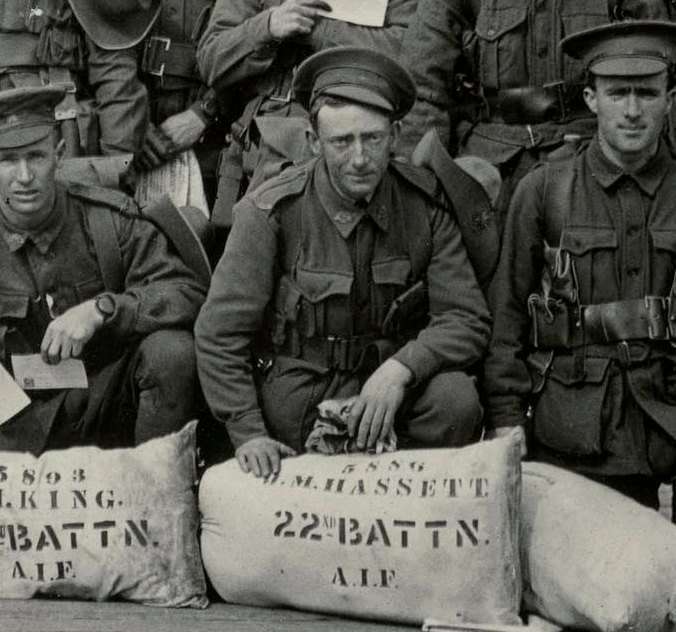 The 22nd Battalion was one of many British and Empire forces involved in the battle and the unit diaries provide a record of the action from their perspective. Recorded in hastily written pencil, the entry for the 3 May features the all-important word: ZERO. The Second Battle of Bullecourt concluded two weeks later on 17 May when the Germans withdrew. The Australian Imperial Force suffered 7,482 casualties, including John Michael Hassett. It was a costly win for the Allies. Researching the lives of those who are no longer with us does often feel a little odd. It can give you the sensation of walking over a grave as you sift through details of their lives or examine their faces in photographs. However access to primary resources such as digital archives are an important form of commemoration as we uncover, discover and read stories like Hassett’s. If you happen to find yourself in France you might want to visit his grave, in the beautiful and well-kept Queant Road Cemetery – here are the details online (including a map of the plots). Or if you can’t make it to France, the hardworking people of the Commonwealth War Graves Photographic project have photographed Hassett’s headstone and made it available on their website. As for myself – I will be remembering Hassett this weekend when I place a poppy next to his name on the Roll of Honour at the Australian War Memorial.